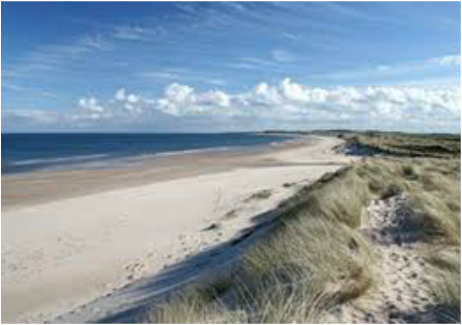 We love ...... Its dramatic coastline, dotted with iconic castles and rugged beaches. We love walking North from Craster village along the coastline to Dunstanburgh Castle and back. Look around the village and get some Craster Kippers, then rest your weary feet and relax with a delicious cake and coffee at the Shoreline Café. Another stunning walk is from Newton by the Sea then along Embleton Sands to the romantic ruins of Dunstanburgh Castle. Another favourite trip is to Holy Island and Lindisfarne Castle (it’s not really a castle at all - it’s a fort!). Beware of the tides and avoid getting stuck on the causeway though: this is dangerous, if not embarrassing, and costly to local rescue services. Check the Northumberland Gazette for safe crossing and tide times. When you’re on Holy Island there is plenty to do and see. Explore the rockpools and the wild, empty beaches and visit the Gertrude Jekyll garden at the Castle. Make sure you see the castle’s internal wind indicator – we could all do with one of those. 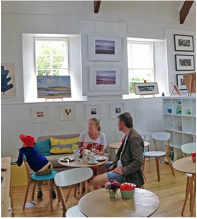 On your return to the mainland stop at the Barn@Beal which has unrivalled views of the coastline while you enjoy good cake and coffee. They also have a small campsite where you can stay and watch Northumberland’s dark night skies and look out for the Northern Lights. Cycle from Alnmouth to Bamburgh and back stopping for seafood chowder in Seahouses. This is part of the National 1 Cycle Coast and Castles route, which is well signposted. Every year The Coastal Run from Beadnell Bay to Alnmouth becomes more popular and has been voted one of the best races in the country. It’s not for the faint hearted as it covers several terrains, but the stunning scenery makes it worthwhile. I plan on doing it every year- maybe 2013 will be the one? It’s the least populated county in England, so make the most of walking the peaceful, unspoilt Cheviot hills and go wild. Rolling landscape and purple moorland sit at the most Northern point of England forming a natural boundary between England and Scotland. At Chillingham, near Wooler, you can see cattle thought to be directly descended from the wild cattle that once roamed Britain. The still undomesticated white animals were apparently kept as a genetically distinct breed because of their enclosure within defensive walls built in the 13th century to guard against Scottish Reivers. www.shepherdswalks.co.uk offers guided walks throughout Northumberland. 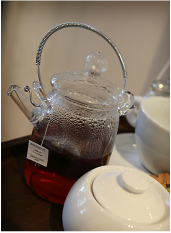 There are special places to stay with a warm welcome, places you will want to visit over and over again. 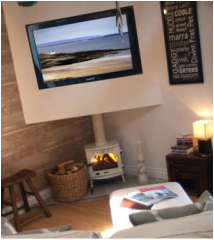 Try www.coastalretreats.co.uk who offer individually styled self-catering holiday accommodation in some stunning settings along the coastal areas of Northumberland. is the working studio and headquarters of Fiona Dane Jewellery . The Old School Gallery is home to the work of Northumberland artist Sue Fenlon. You can see all of her beautiful new paintings along with her stunning range of prints, cards and gifts. 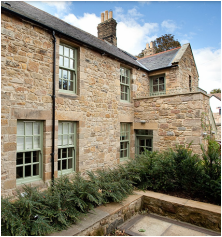 Located on the wild & beautiful coast of North Northumberland, The Ship Inn, was built in the late 1700’s. 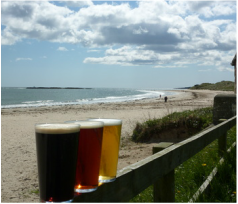 The white-washed pub is set around a green and looks out to sea across the beautiful sandy beach of Newton Haven.